(April 25, 2016) – Public Service Electric & Gas Company (PSE&G) will be working in North Bergen to replace approximately 4.3 miles of older gas pipes with new, durable plastic and/or coated steel piping – ensuring a continued safe, clean and reliable gas system well into the future. The new pipes will improve reliability, reduce the possibility of methane leaks, and enable the installation of excess flow valves on service lines. These valves dramatically reduce gas flow if a pipe is damaged. The elevated pressure of the new gas mains will also provide better support for high-efficiency appliances like furnaces and water heaters. Beginning on or about April 25, work will take place Monday through Saturday between 7 a.m. and 4 p.m., conditions permitting. More information and a list of the streets where pipe replacements will take place is available at www.pseg.com/gaswork. Residents will be notified that PSE&G will be working in their area by phone, mail, door hangers and Facebook posts. The gas main replacement portion of the work is expected to be complete by the end of the year. The paving and street restoration is expected to be completed in the beginning of 2017. Before construction can start, the utility tests soil and digs test holes to verify the location of existing gas mains. When this preliminary work is complete, PSE&G will begin installing the new gas mains and upgrading associated service lines that carry the gas to homes and businesses. PSE&G crews will dig trenches, primarily in road surfaces, and lay new pipes block by block, in order to limit the impacted areas on any given day. There will be short-term road closures and detours during construction. Local police will direct vehicle and pedestrian traffic. At the end of each workday, the trenches will be filled in, and plates secured, on any open areas so people can safely drive and walk. After the new gas mains are installed, PSE&G will need to access customers’ homes to connect their service lines and meter. PSE&G will contact homeowners to arrange a date and time to do the connections. During the connection work, customers will be without gas service for approximately four hours. PSE&G will relight all appliances and make sure they are safely working before leaving a home. 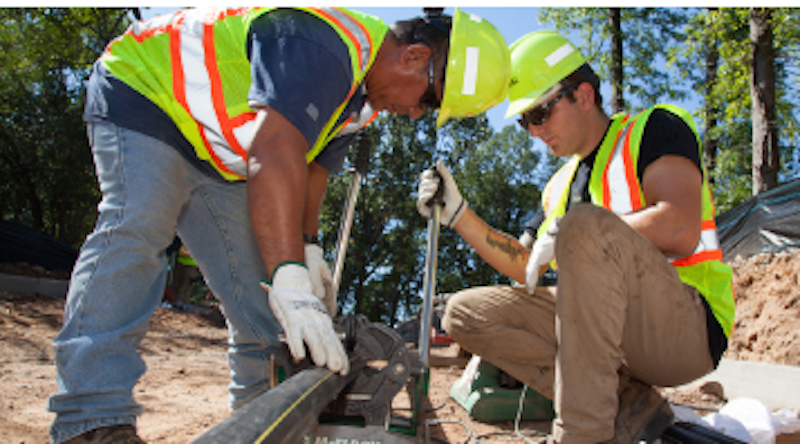 In most cases, PSE&G will be able to install the new pipes without digging in lawns. Lawn areas, shrubs or other vegetation affected by the work will be restored. Grass areas will be raked and seeded. PSE&G will repair roads with temporary pavement until the ground settles. This takes about 45 to 90 days, depending on the weather and soil conditions. PSE&G then restores the roads with permanent paving in accordance with town ordinance and paving requirements. PSE&G crews will use work area protection including traffic cones, utility work signs, and barriers to ensure the job is done safely. The utility reminds motorists to slow down and follow detour signs when driving through the construction area.